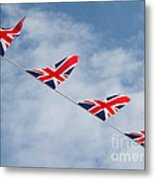 David, many thanks for featuring Flying the Union Jack in the ABC group - J - J IN THE TITLE. Sheila, many thanks for featuring Flying the Union Jack in the United Kingdom group. Karol, thanks for featuring Flying the Union Jack in the Action Photography group. 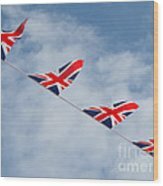 These little flags were flying everywhere I went when I was in England last month, probably still are... for the Olympics now... for the Queen then. Thanks a lot, Valerie and Lainie. Much appreciated as always. Many thanks, Debbie. 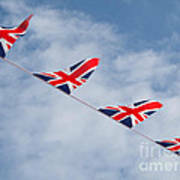 I arrived in England the day after the Queen's big celebration. Flags were flying everywhere, as they still were three weeks later when I left for home. 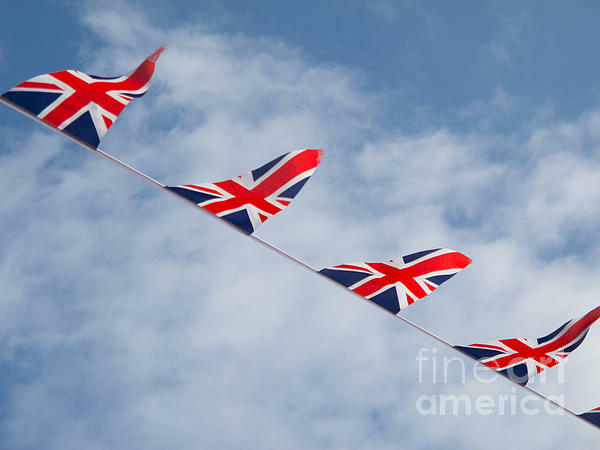 Pennant-shaped flags bearing the Union Jack, emblem of the United Kingdom, fly in the wind under a partly cloudy blue sky. Copyright 2012 Ann Horn. ALL RIGHTS RESERVED. This copyrighted image does not belong to the public domain and may not be reproduced, copied, altered or manipulated in any way without the written permission of Ann Horn. ann-horn.pixels.com.